Suspension of Classes Update: July 9, 2015 | #WalangPasok due to floods and heavy rains - Balita Boss! Philippine News, Sports & Technology Updates, Exam Results and Interesting Stuffs. Due to floods and heavy rainfall warning of PAGASA, LGUs and schools have declared the suspension of classes on July 9, 2015. Thank you for reading. 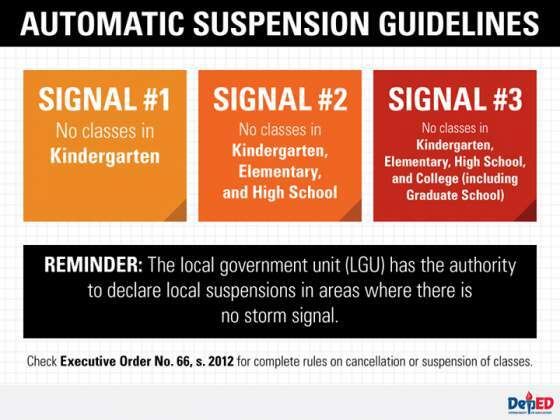 Please follow Balita Boss on Facebook, on Twitter or on Google+ to receive updated information about #WalangPasok. Disclaimer: Balita Boss does not own any information, news and/or images featured on this site unless otherwise noted. All visual content is copyright to its respective owners. Information on this site may contain errors or inaccuracies too - the site do not make warranty as to the correctness or reliability of the site's content. If you own rights to any of the images and/or news and do not wish them to appear on this site, please send your message in the contact page.